Your browser seems to have cookies disabled. Please make sure cookies are enabled for the best experience on our site. This page does not support bookings for over 9 rooms. Please head over to our group booking page. 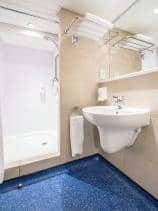 "A short walk from Central London's only marina, St Katharine's Docks." Medieval castle or modern masterpiece? 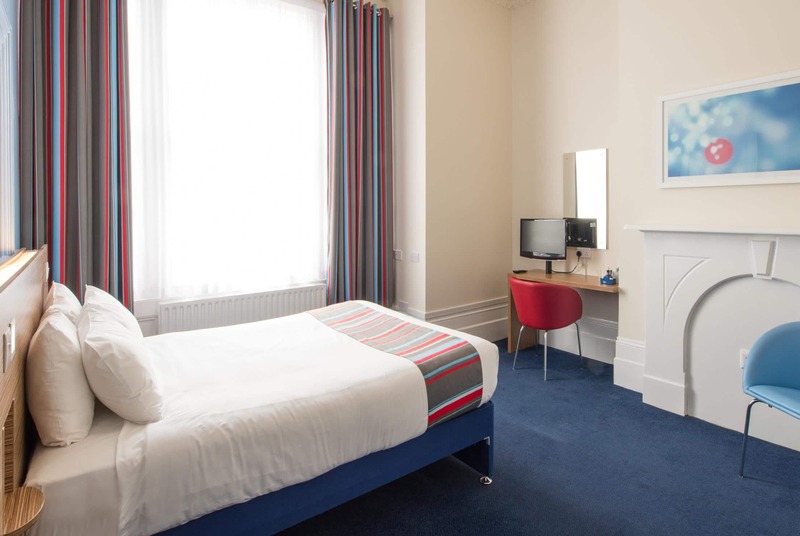 Our London Central Aldgate East hotel is a stone's throw from skyline icons the Shard and the Gherkin, and around the corner from the Tower of London. You'll be in the heart of London's East End, with Tower Bridge within walking distance and stylish Whitechapel and colourful Brick Lane close by. Or hop on a bus for the shops and attractions of the rest of London. All rooms feature a comfy king size bed with four plump pillows and a cosy duvet. Our on-site restaurant and bar serves breakfast and tasty evening meals. Due to the close proximity of this hotel to the Tower Gateway DLR, some external noise may be heard. BY ROAD: A11 and A13: At large junction follow directions towards The Tower of London, turn left onto Lehman Street, take the third turn on the left onto Chamber Street, the Travelodge is on the left. BY TUBE: From Aldgate East tube station walk down Lehman Street until you reach Chamber Street on the right hand side. When your parking period crosses a time band the different rates are added together. For example, parking Saturday 11am to Sunday 11am you will pay a total of £15 to park. Please note pictures are for illustration purposes only. Actual room design/layout may differ. 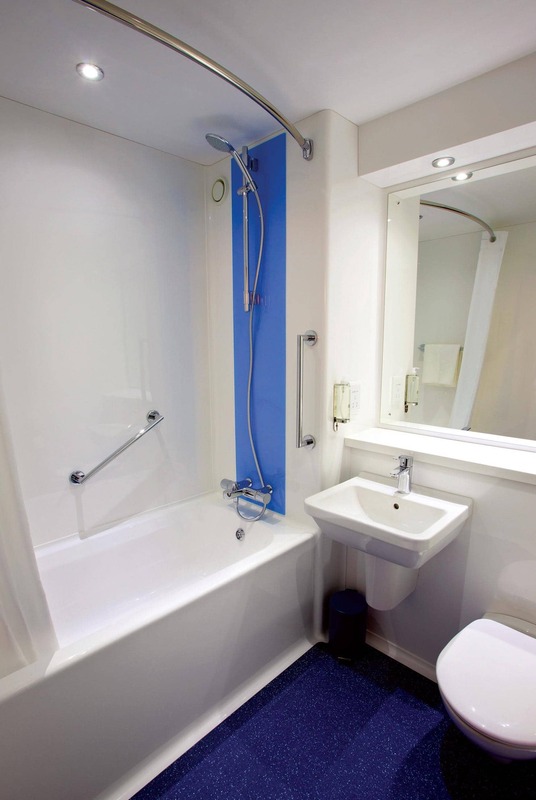 *Room accommodates a maximum of 3 adult occupants. T&Cs apply. 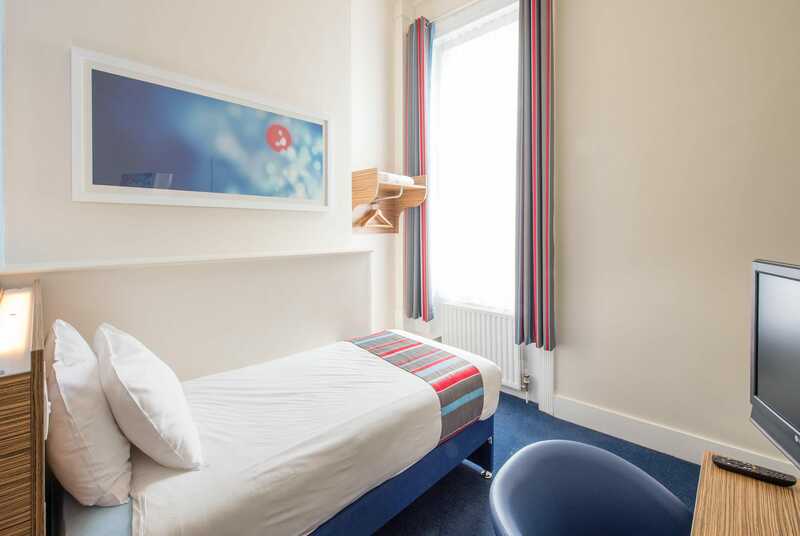 *Room accommodates a maximum of 2 adults and 1 child occupants. T&Cs apply. Please feel free to phone our hotel for further information, calls are charged at 13p per minute plus your phone company's access charge. Bookings made through our Central Reservations line are subject to a non-refundable booking fee of £2.50 per call. This hotel has an on-site restaurant and bar that serves breakfast and tasty evening meals. *Selected hotels offer extended serving times. Chargeable parking is available at a nearby car park. Further car parking details can be found under “Parking” on the hotel page. WiFi is available throughout our hotels allowing you to stay in touch when you are away from home, whether you want to search the web, email or get some work done. WiFi is free for 30 mins per 24 hour period. Alternatively 24 hour access is available for £3.00. Add to your online booking or purchase at hotel via our WiFi log in page using a credit/debit card. Each WiFi voucher code is valid for use on a maximum of two devices. Please note that WiFi is non-refundable. T&Cs apply. Find, book and explore our upgraded rooms in moments - even when you're on the go. Get the best value prices at your fingertips. Free for iOS and Android. You are viewing a new version of our website. To view this page, please use the desktop site.